Turfgrass researchers found that trimmed lawn clippings do not cause thatch. The invention of a new class of mowing blades — mulching blades — let mowers chop the grass blades into finer pieces that are harder to see and decompose more quickly. Sources: Sources: The Lawn Institute, James B. Beard, "Turfgrass: Science and Cluture"
The mulching of yard trimmings has been a success story for landfills. A 2018 report from the U.S. Environmental Protection Agency, shows Americans generate about 34.7 million tons of yard trimmings per year. That’s 69.4 trillion pounds. But just 10.8 million tons end up in landfills. That’s down from 27 million tons in 1980. 5. Mulch is a natural weed killer. Weed control is important. 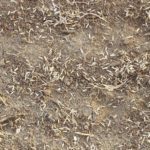 Your layer of lawn clipping mulch will be less than an inch thick, but regular mowing and mulching provide a barrier to weed seeds, preventing them from taking root. Finally, some pet owners like to remove lawn clippings to prevent pooch paws from tracking them indoors. Reardless of your reason, if you do decide to remove the trimmings from your lawn, you can use grass clippings as part of a compost pile. The heat of the composting process will convert into fertile soil for your garden beds, raised beds and vegetable garden plots. They are designed with multiple cutting edges and aerodynamic shapes that keep grass suspended under the deck of the lawn mower. While suspended, each blade of grass gets chopped several times by the mower blade. The result is mulch in such tiny pieces that it is nearly invisible. A few newer mowers even allow you to control the level of mulching so that some of the grass returns to the lawn, and some is diverted to the bagger.